I don’t do glitter. Even as a child I shunned it. Yet in my old age 🙂 I’ve found a glittertastic product that I LOVE. Say hello to Glitter Lips, the statement lip your party pout has been crying out for. 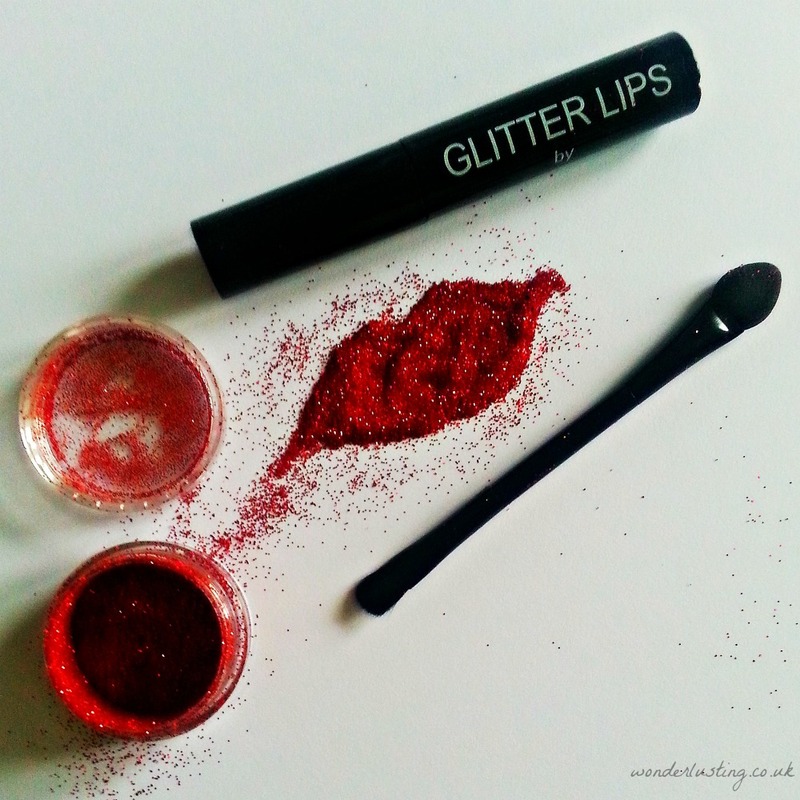 Glitter Lips is a new lip product that Ronseal-like does what it says. Glitter on your lips. This is the Diana Ross of Lippies. The Boss. Glitter Lips collection – available in a number of colours including a limited edition gold, silver and black. All perfect for party season. I had to end #100LippyDays with a bang and Glitter Lips was the no brainer choice for Day 100. This stuff is AH-MAZING. We’re talking statement lip with a capital S. Performance-wise it stays put, doesn’t leave a stain on anything, doesn’t leave your lips shrivelled and is not uncomfortable. The glitter is very fine so doesn’t feel gritty on the lips. You can’t just slap Glitter Lips on though. I tried glamming up on a train and let’s just say it wasn’t pretty. More importantly I had to take it off and start again which was a complete waste of time and product. Make sure your lips are hydrated before applying but that it has all sunk in so there is no surface greasiness. You need to give yourself a few minutes and take your time applying but the effort is worth it. Once on you can forget about it for the rest of the night. Well except until you notice people’s transfixed gaze on your mouth. Taking it off is a little bit of a chore, though not much more than other long-lasting lipsticks. The easiest way I’ve found is to smear lips in cleansing balm, leave for about 30 seconds then gently rub with a muslin cloth or cotton wool. You might need to repeat. For party season Glitter Lips is a lust have non? What says Christmas more than red and glitter! It’s quite hard to capture the full effect in photographs so here’s a little video. This was at the end of the night after I’d had it on for a good 6 hours and had been eating pizza. I don’t normally drink weirdly by the way – that’s just to show that Glitter Lips does not come off at all. It didn’t leave a trace on glasses, not sure how it copes with kissing! I don’t think of Glitter Lips as “fancy dress” and wear this the same way I’d wear any other statement lip. So minimal makeup on rest of face. Say hello to your inner Shirley Bassey, pout and go. And yes, the colour and the spark sing Merry Christmas & a Happy New Year like nothing else. What is the “glue” made of? I’m curious because of the video performance which is really cool BTW, and because you said it “doesn’t leave a stain on anything, doesn’t leave your lips shrivelled and is not uncomfortable”. I was surprised as expecting lips to feel tortured but no. On packaging ingredients = aqua, aqueous acrylic resin emulsion, glyceryl. Def not for everyday wear! sure not, but it’s great to have a tool of such effect & power in one’s beauty case! Thank you! It’s so much fun to wear – you totally should! Did you put colour underneath? Or is that red simply the glitter? Looks amazing! No colour underneath – your lips have to be completely bare for it to stick. Thanks! OMG I LOVE THIS!! I want to wear this badly, that would be AH-MAY-ZING for NYE! I don’t like frost lipsticks at all and I’m normally not into glitter in glosses, but this is like full-on POW glitter that just looks too good to pass up. I wonder if I can find it anywhere around here…. I hate glitter usually but this stuff is INCREDIBLE – I felt like RuPaul! If you can’t find let me know and I’ll post some to you. Previous Previous post: Beauty News: Mai Couture Glow-Geous Trio – Makeup in Booklet Form!